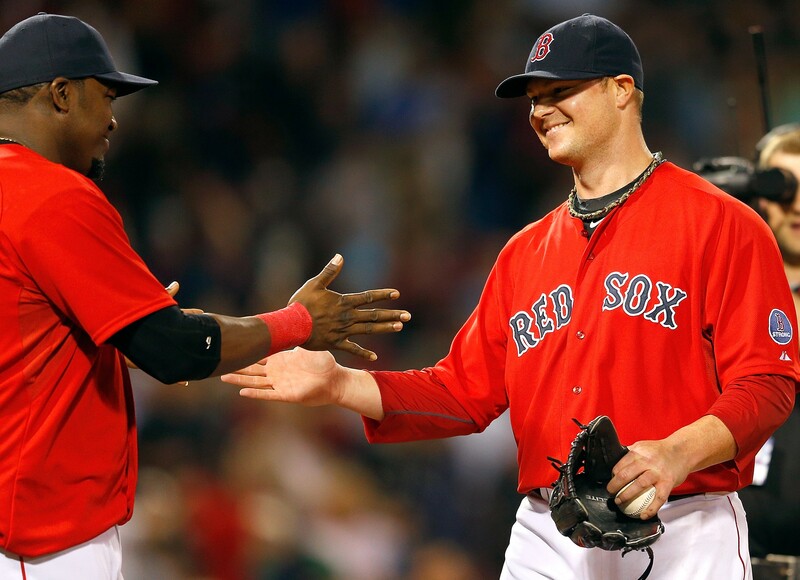 Big Papi would love to welcome home Jon Lester. Arguably, only the 1977 album “Rumors”, Fleetwood Mac’s greatest (in sales) album, was more entertaining and talked about than baseball’s hot stove. Believing the validity of MLB rumors is only slightly more dicey than the relationships in one of rock and roll’s longest lasting quintets. The Boston Red Sox had a big day on Monday, signing infielders Hanley Ramirez and Pablo Sandoval. One would assume that meant shortstop Xander Bogaerts would be used as part of a package to obtain a front line starter. But two team sources told the Boston Globe’s Pete Abraham that Bogaerts is still considered the team’s starting shortstop. That would mean a position switch for Ramirez. Do you buy that? With Dustin Pedroia entrenched at second base, it would mean Ramirez would move to the outfield. Yoenis Cespedes is in left field with Rusney Castillo in center. Boston has right fielder Shane Victorino under contract for one more season (at $13MM). With David Ortiz at DH, something has to give. Two #RedSox team sources say Bogaerts is still the SS. Didn’t think that would change, but worth checking. Despite adding an average of $41MM over the next four years (Only Sandoval has a guaranteed 5th year), Abraham reported that the Red Sox are also said to still be in play on their former ace Jon Lester. With the Sox going nowhere this past season, the team dealt Lester to the Oakland A’s for the slugging Cespedes. 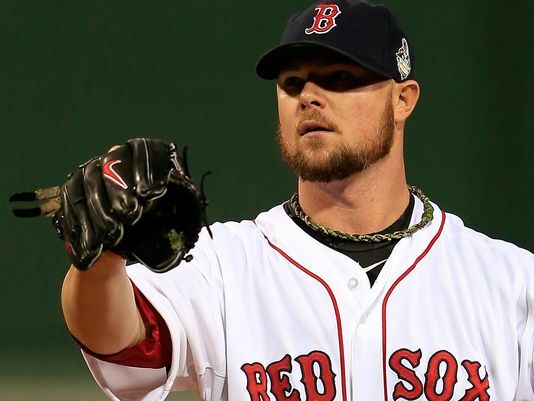 Lester made $13MM last season and is likely to land at least a five year deal that tops $20MM per season. Do you buy that Boston can still afford that? Phils GM Ruben Amaro Jr. – how does this man keep his job? – is trying to unload salary. He failed to move anyone making substantial money at last season’s deadline – Hamels, Ryan Howard, Cliff Lee (who injured his elbow during the post-deadline waiver period) – and needs to now. Hamels is owed $90MM over the next four years and has a possible 5th year (2019) at $24MM (vesting) or $20MM (team option). Despite the claim by team sources, Bogaerts would most certainly have to be part of any package sent to Philadelphia along with one of Boston’s top catching prospects, Blake Swihart or Christian Vazquez. It would all depend on how much money is picked up by Boston. The feeling here is that if the Red Sox can’t land Hamels or bring back Lester at a discount, they’ll try to sign a cheaper option like James Shields. There is action going on elsewhere in the AL East. Toronto, who already overpaid catcher Russell Martin, is said to be pursuing the Cincinnati Reds versatile outfielder, Jay Bruce. Blue Jays are, however, working to add a left-handed bat to their lineup. One name they are talking about: Jay Bruce. The left-handed hitting Bruce would be a great addition to any team. The Reds would have to be blown away by any offer though, since the 27-year old outfielder is under contract for the next two seasons at an average of $12.25MM and has a team option for a third year at a minuscule $13MM. 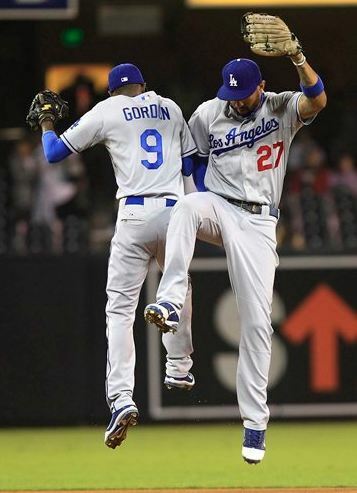 The outfielder is coming off a miserable year in which he hit just .217 and had a sub-.700 OPS. But in the three years prior to that, Bruce topped 30 home runs and averaged 101 RBI. UPDATE – ComcastSportsNet’s (CSNChicago.com) Dave Kaplan is reporting that the Chicago Cubs have made a “significant offer” of six years and a salary figure “north of $135MM” to free agent pitcher Jon Lester. Ken Griffey Sr. was a three-time All Star and two-time World Champion. A member of the Cincinnati Reds Hall of Fame, he also played five seasons for the New York Yankees. A 19-year Major League veteran, Griffey has a career .296 batting average with 152 home runs, one of which came in one of baseball’s most sentimental moments. He’s recently written a new book called Big Red: Baseball, Fatherhood, and My Life In the Big red Machine. I had the opportunity to speak with Griffey about a variety of topics including playing in the “Bronx Zoo” era of the Yankees, why he thinks Pete Rose should be voted into the Hall of Fame sooner rather later, and whether he thinks his son Ken Griffey Jr. will be a unanimous first-ballot pick for Hall.